1 x Mackie VLZ1604 – 16 Channel analog Mixer. Looking for turn key audio production for your event, conference, music festival or venue. Our professional staff is happy to help with immaculate sound that will satisfy the more discerning of audiophiles and with a price tag that won’t break the bank. Please see our production request form or call 828.450.1482 for more information. 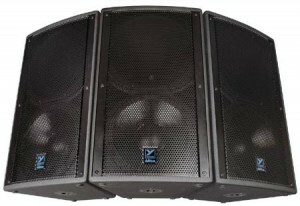 Activative has a variety of systems to cater for sound reinforcement for your small event, conference, wedding, school function etc. These are a few examples of sound system packages. Recommended systems may vary depending on your needs. To determine the best possible package and price visit the production request form, or call us at 828.450.1482.